Half the money I spend on advertising is wasted; the trouble is, I don’t know which half. —John Wanamaker. In order to avoid running into the same issue as Mr. Wanamaker, don’t be afraid of getting into the weeds of data analysis. With so many tools and technologies readily available, it is easy to make data your new best friend. You have likely already thought about data analysis as a valuable source of marketing information for your store. In the age of the user-friendly digital world, it is a piece of cake to analyze your data on your own — an important factor for all these small businesses trying to succeed. The crucial thing is asking the right questions and looking for the answers in a way that you combine appropriate metrics from your data with action. That’s why we have prepared a series about understanding data analytics. This is the first article dedicated to explaining what metrics are worth watching, and how to work with them. Revenues, Conversion Rate, Sessions, Sales…. These are probably all metrics you are already familiar with. Our friends Kissmetrics wrote a great article explaining some more about these basic metrics and their importance in the eCommerce world. Now let’s look deeper and see what correlations you can get from them. There are few categories you can focus on and, by asking good questions, understand your data. For starters, let’s focus on your customers and the orders they make. If you want to evaluate your sales, you should watch all the factors that contribute. First, set up a goal you want to achieve. Let’s say, you want to make 20 orders in the following week. So how does it work? Look at your revenue, visits, conversion rate and orders. What does conversion rate truly mean? It is the ratio of orders to visits. If 100 people visit your store and 5 of them purchase something, the conversion rate is 5%. 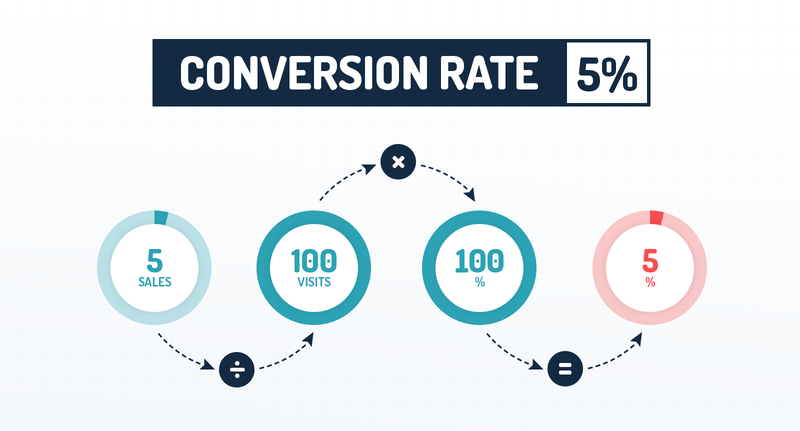 But if you have 10 orders out of 500 visitors, your conversion rate is just 2%. In this case, even though you have more orders, the conversion rate informs you that it is not a good result compared to the number of visitors. And what is actually a good conversion rate? Is 5% enough? You may set this as one of your goals too. Although the number of your orders is increasing, your conversion rate may be stuck at 5%, and then you can’t compare your productivity in time. That’s why it’s important to watch conversion rate closely. See more tips how to increase the effectiveness of this metric and attract more customers for less money. You can watch specific metrics in Google Analytics or your online store analytics, and evaluate them by yourself. Be aware that sometimes these two sources don´t perfectly match up, because they have different settings, so you should understand exactly what those metrics mean before making any major decisions or changes. Or you can use a real-time smart analytics app to do it instead of you. How to Convert Visitors into Buyers? Well, you are not going to wait and count every new order, and hope you meet those 20 :) You have several options how to motivate your prospective customers to make an order. You can use nice banners, write emails or communicate through popular and effective social media. What is the best way to reach them? 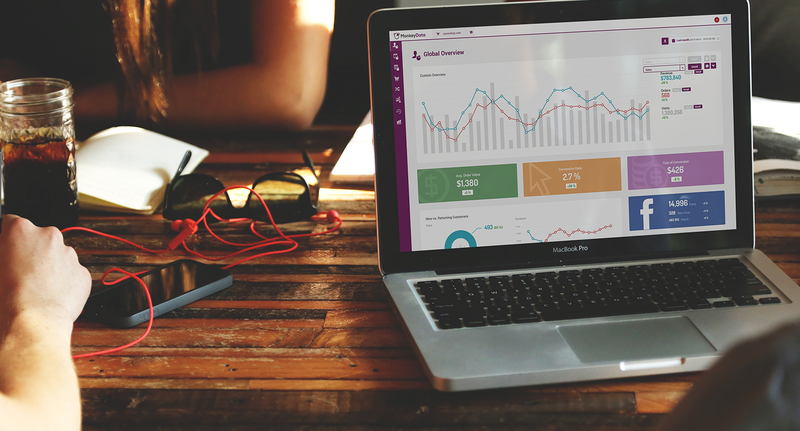 Track your customers’ behavior, which is, by the way, captured in your analytics app as well. What does the shopper buy, when exactly and how often? All this information will help you to manage the whole customer experience of your store and optimize accordingly (i. e. Knowing the average order size tells you what packaging you should have in stock). Watch statistics of new customers in a review of individual months. It is good to know the growth of new customers and the ones who shop repeatedly in your store. Retailers are usually focused on the acquisition of the new ones, which is important, but do not overlook the current customers. After all, a mere 5% increase in retention can deliver up to a 95% increase in profits, and they usually provide your business with positive references. Even more, repeat customers represent about 20% of overall company revenue. Find the customers that have the highest average order value, and pay special attention to them. React with relevant emails to various situations – either they are leaving or are close to purchasing decisions, maybe they just sought something on your site today. Use banners and PPC campaigns to remind them about the product they wanted. Give discounts or stress the reason why they should buy it. This all makes total sense because customer reactivation can really increase sales by 40 – 50% (which can be your 10 orders out of 20!). [But then again, gone are the days when customer segmentation was enough. Nowadays marketing requires you to know your customer as closely as you know your best friend and communicate with them individually. You’ll want to personalize and customize your advertising and message to each specific person, no matter how many people are there. Watch their hobbies, food and fashion they like, things they may not like and be responsive in your content so that you can fully meet their needs and show how you understand them. Be as close to your customers as possible — that is an absolute necessity. Social media is the hottest current marketing tool, and opens up opportunities that didn’t exist before. Build a steady communication base on Facebook, inspire people through Instagram and then eventually sell your products via both of these platforms. Facebook and Pinterest have already integrated BUY IT button, which should lead to direct shopping. If you want to talk to specific customers, the best way is to send an email or use some sort of messaging tool. There are some statistics that prove sense of sales supports via social media. Take a look at the most sold products this time last year, and show them on your social accounts! People need to know what they should buy, and you, as a professional, can give them the guidance they need. On the other hand, watch products that are sold out or with low inventory levels. Do not forget to temporarily disable campaigns or remarket them. Which Marketing Channels Really Work? After reaching your 20 orders per week, you should also evaluate the effectiveness of each channel. Not just the amount of likes, followers or orders, but real money. Likes and followers are good for increasing your fan base, but following does not bring you any profit. However, it is a great first step to making them aware of your business, its products, and get them to start shopping. Create competitions, give gifts or provide free shipping if they meet a dollar amount threshold or shop on a certain day. Another important thing is to realize that each channel has a different purpose and that revenue is not your only target. While you use Twitter or YouTube for communication and promoting your brand, Facebook and Pinterest can be leveraged as very viable sales channels. Plus, all your activities should depend on which products and services you provide and, of course, on your audience. What are specific sources which lead your customers to your shop? Is it Facebook, PPC, Instagram, do they come from mobile or desktop? Do they also buy something? Repeatedly? There is appropriate to check conversion rate. How much do you pay for their engagement? Or is it free? In paid ads it usually depends on the amount of orders you get compared to the money you invested. If you invest $100 and gain 20 customers who make 1 order each, one customer costs you $5. This will also indicate how much you earn compared to advertising costs. The other option is that you gain customers for free, but you may not profit from their engagement. Simply put, be aware which channels deliver the best ROI. Do you watch your customer behavior? Do you send reminders for abandoned shopping carts or their favorite goods, use emails or conversational tools to speak more personally to them? Once you understand analytics, you have all the important information available. So take your business into your own hands and make it grow! No need to hire any analyst or programmer and install difficult tools. There is a Holy Grail of your business hidden in your data, so do not be afraid to learn tricks and ways of how to make your customers happy and become successful!